We would like to express our great thanks to you for purchasing Construction Joomla Template. We are extremely happy to know that you have selected Construction for your website. And we are also sure that you will not feel disappointed after using our this template. To help our customers to use this template easily, we provide you with the documentation with all the details you need to use our product. Feel free to contact us and give us your feedback about the template, improvements you feel it needs and the documentation of the theme via Our Forum. We've hard to create this template, and we'll work even harder to support and improve it. On behalf of TemPlaza Team, thanks so much! 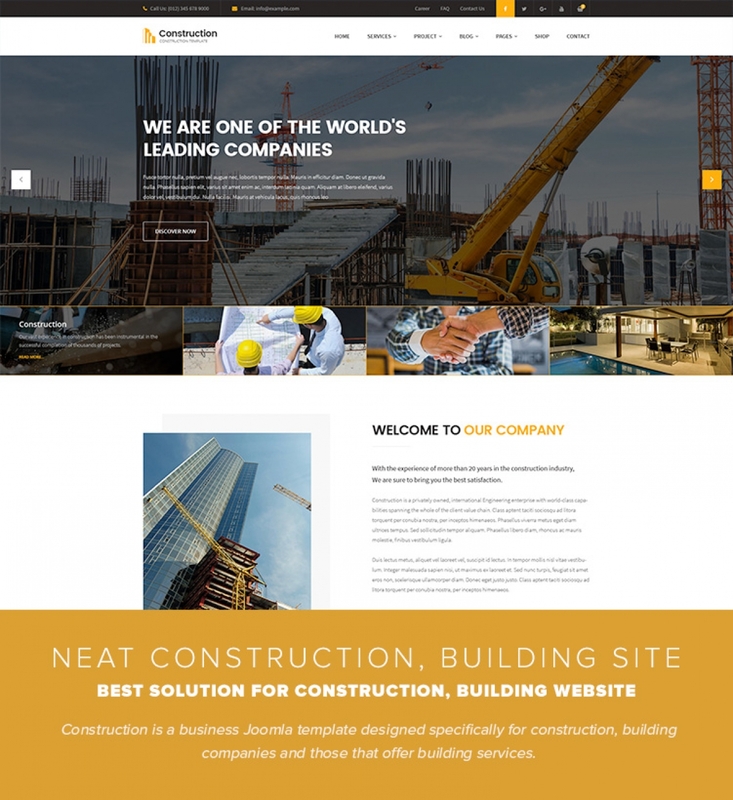 We hope you enjoy using Construction Joomla Template. Have basic knowledge about Joomla and some configurations mentioned in other sections of this documentation. Make sure to read Basic Requirements. Required extensions must be installed. Copyright © 2016 TemPlaza. All Rights Reserved.